REGINA -- The Saskatchewan government is introducing mandatory training for semi-truck drivers almost eight months after the Humboldt Broncos bus crash. 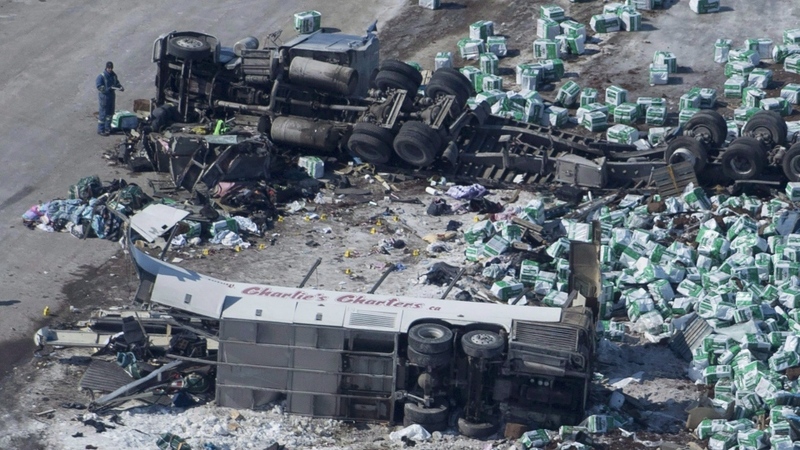 Joe Hargrave, minister for Saskatchewan Government Insurance, said the crash -- that killed 16 people and injured 13 when the junior hockey team's bus and a semi collided at a rural intersection -- influenced Monday's announcement. "It made it more clear that we need to get this done." 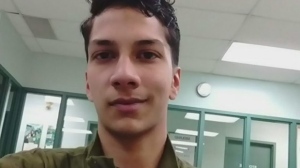 But he said the new training "isn't a Humboldt Broncos plan." "This is about the truck driving training and it was about the industry and where we should be taking the industry," Hargrave said. Drivers will be instructed for 47 hours in a classroom, 17.5 hours in a yard and 57 hours behind the wheel as part of the new program. There's also a 12-month safety monitoring program for drivers now in effect. Hargrave said Saskatchewan used Ontario's training guide but modified it to give drivers more time behind the wheel and air-brake training. "Having mandatory entry-level training will increase that base set of knowledge and skill when they hire someone at a trucking company," she said. Saskatchewan farmers driving semis within the province won't require the training yet because Hargrave said farmers aren't on the road all year. He said the province is still consulting on the issue. Opposition NDP Leader Ryan Meili said the changes don't seem to address training for existing drivers and shouldn't have exempted farmers entirely. "There should be different sets of training but to leave it completely without any training is really leaving a big hole in terms of safety," he said. The training will cost between $6,000 and $8,500 -- a jump from the current average of $3,000 for training.